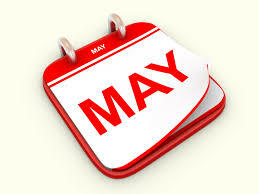 Below is a list of all our public meetings during the month of May. They are open to everyone and we’d love to see you. We’re a small, friendly church, but not overpowering. Why not pay us a visit? Service led by Stewart Bloor. Speaker: Kevin Coley. Communion. Previous CHURCH AND FOOTBALL? YES, WE THINK SO! Next COME AND PAY US A VISIT – WE’D LOVE TO SEE YOU!